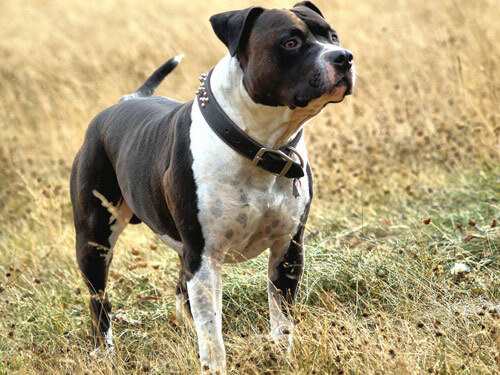 Most terriers, of the past and present, carried or carry a quarter to an eighth Old English Bulldog blood in them in order, allegedly, to give courage to bear the bites of the prey they are meant to attack. Terriers who were not developed from crosses between the Old English Bulldog and earth-working dogs were of inferior quality and were valued far less. There are earth-working dogs who by default and definition are called terriers because they have the ability to go to ground; however, the best earth-working and hunting terriers are the progeny of bulldogs bred to earth-working dogs (terriers), also known as the 'Bull-Terrier' or 'half-bred' dog. The terrier as used for hunting is a strong useful little dog, with great endurance and courage, and with nearly as good a nose as the Beagle or Harrier. From his superior courage when crossed with the Bulldog, as most vermin-terriers are, he has generally been kept for killing vermin whose bite would deter the Spaniel or the Beagle, but would only render the terrier more determined in his pursuit of them. The field fox-terrier, used for bolting the fox when gone to ground, was of this breed (bull and terrier). Not only is the Fox Terrier the progeny of the Bull and Terrier, but so is the Airedale Terrier, rat-working terriers, working black and tan terriers, and most all other vermin-hunting terriers. James Rodwell described in his book titled The rat: its history and destructive nature, that the great object, among the various breeders of Bull and Terrier dogs for hunting vermin and rats, was to have them as nearly thorough-bred bull as possible, but at the same time preserving all the outward appearances of the terrier as to size, shape, and colour. The Old English Bulldog was bred for bull-baiting. Its life depended on "Go Low, Pin and Hold". Such a breed was unsuitable for dog fighting in the pit. Once an Old English Bulldog got a good grip, there would be little left for the spectators to see, except for two dogs gripping each other, closing their jaws tighter and tighter. Required were quick attacks, new grips, and tricks, which made up the drama of a dog fight that appealed to spectators, gamblers, and dog owners. The introduction of English Terrier blood provided longer legs, fiery temperament, and speed, which provided entertaining fights. The crossing of bulldog and terrier produced a dog that no longer belonged to either foundation breed. The new breed was called the Bull and Terrier. With attributes such as ferociousness, aggressiveness, and intelligence, there were few fighting tasks it could not perform better than other breeds of those times. In 1835, with the banning of baiting the breed was placed in jeopardy of extinction; however, while bull-baiting and bear-baiting laws were enforced, dog fighting flourished, so the Bull and Terrier lived on. Around 1860, the Bull and Terrier breed split into two branches, the pure white Bull Terrier and the coloured forms that lived on for another seventy years in the dog pit until they finally were recognized as a legitimate dog breed called the Staffordshire Bull Terrier.